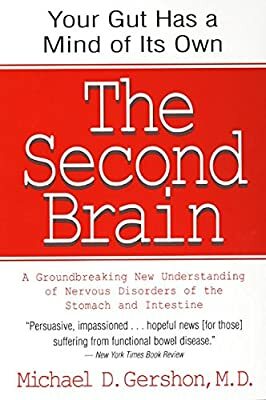 I’ve read all of this stuff in my books about schizophrenics having terrible diets, a common thing amongst us, kind of like how most of us drink coffee and smoke cigarettes. What are some of your staple foods? I eat lots of chicken and whole grain products (bread, pasta) and protein whey, as well as rice and kashi cereal. I live in Salmon country. Salmon and more salmon. Salmon sushi is great here. Because of my sis, noodles and more noodles. Due to the mexican part of my family… amazing fish tacos and tortilla soup. I eat lot of vagetables, and once what ever my mom cooks. I grew up raised by wolves in new york city, lived on hamburgers, pizza, and cookies. By my mid 20-s I was still like that, working in IT jobs and living on coffee for breakfast coffee for lunch and cookies and milk for dinner, a whole box of entamens cookies every night, or a loaf of jiffy cornbread for dinner when i was a broke new york city bike messenger. I do think that kind of diet helps building psychosis and exiting reality. By the late 20’s i had developed “ghost bugs”, seemed like some kind of extreme allergy, but every doctor i talked to said it was a textbook psychiatric condition. I stayed away from the meds till my 30’s, when acting up at a job, they forced me to see a psychiatrist, i said i was just practicing irrationality willfully, which of course i am, and they hadn’t seen my style before so they said they thought i was having a psychotic break, they thought i had no memory of all the crazy stuff i had said, but of course i do, anyway, went to see the pdoc about 5 times. he said ok you can go back to work but i really would feel better if you would start taking meds. by 45 i went back to pdocs saying please, help, i can’;t manage it anymore, give me a lobotomy, give me shock treatment, give me heavy meds. they tried haldol, orap, seroquel, ativan, an antidepressant with a D at the beginning, maybe a few other things, nothing helped. They said science has nothing to offer you, you’ve been very sick for a very long time, you want help with suicide go do suicide by cop. So I went home, stewed in the psychosis of the itching. Gave up all food, fixed it. Got hungry, ate again, broke it again, and that’s how it goes, on and on. Was eating the last few days, working hard over the weekend on IT support with almost no sleep in 50 hours. it’s all raw vegetables, no carbs, no sugar, no calories, must be like a couple hundred calories a day. maintains my physical and mental strength, both prodigious always. fasting beyond that brings on physical weekness and mental confusion in two to three days. so you gotta manage both brains when you’re insane! Mostly bologna, hot dogs, chicken pot pies stuff that are cheap and easy . I also eat whatever my mother in law cooks or my partner cooks. Today it was cheese burgers and seasoned fries, tomorrow it’s steak fajitas. I’m on a gluten free diet, so not a lot of variety. I eat lots of protein and fruit for almost every meal. That’s in addition to my copious amounts of caffeine and nicotine! Lately I have been eating brain friendly foods, trying to help my depression. Avocados - Bananas -Cold water fish-nuts- deli sliced turkey - Lets see how i do, I should be healthier physically anyway - I’m hoping. My acupuncturist told me I have issues stemming from my stomach. Stomach is earth and family and can cause lots of problems. I try to Eat lots of raw and fresh organic fruits veggies soups, I’m allergic to wheat so I eat eat quinoa pasta, free range eggs with potatoes onions garlic, no meat as I can’t stand killing and torture of innocent animals that have been factory farmed. Hmm Idk guess that’s it? calories go in , thought blossoms, keep that up for a couple of days, brain springs a million leaks, can’t handle that kind of a roaring flow, gotta cut it off to recover. sushi and salmon are some of my faves…my dad sells fish so we eat alot of fish. There are a few reasons for the gluten free diet. Most people who adhere to it do so because they are sensitive to gluten and have gastrointestinal problems, such as celiac disease. My reason for using the gluten free diet is to (hopefully) control my symptoms. There was a small study done with schizophrenics and the gluten free diet. A subset of patients experienced a reduction in paranoia from using the gluten free diet. The phenomenon isn’t completely understood however. One theory is that gluten activates opioid receptors in the brain and acts as an intoxicant in schizophrenics. This is just a theory right now. But I thought I’d give it a try for at least 4 months and see if, by some chance, I was part of the subset of schizophrenics who benefit from the gluten free diet. So far, I’m on month 3, and I have noticed a reduction in paranoia. As the whole theory of schizophrenia and the gluten free diet is not well-understood, I can’t recommend it. But, for me personally, it’s had some positive effects. Bagel sandwiches, baked potatoes, english muffins w/strawberry preserves w/milk for breakfast, taco salad, crackers w/melted cheese. Lots of Iced tea w/lemon + sweetner. Limeade, Soups. so turn away if that kind of thing upsets you. why do the carbs cause the sz symptoms? in me it is any carb, as they all become sugar. “gotta feed the worm” he said. also, the ancient taoists have a belief about grain in the diet. the ones who want to be immortal cease to eat grains. atleast you quiet them with a no carb diet. who’s got very specific plans to implement after the host’s death. pushes us toward our death. and eventually they die and i can eat food again. when you start feeding them again. for that one week i can eat and not suffer. shut the entire digestive system down. that or suicide by cop. i am a vegetarian, so i bake and make bread, cakes ,slices…grow own vegies, have chooks for eggs, i do not eat anything with colours ,preservatives or anything unnatural. but i do have coffee, but i grind the beans and make it fresh. Hmmm im open minded about food and vitamins and all that stuff. I take Niacin and vitamins (my weightlifting supplements happen to be loaded with them) and I feel pretty awesome when I take them. I guess I could eat rice instead of wheat products for a while. Thanks for the idea! for me rice is as bad as a candy bar, turns to sugar, generates hallucinations. the no sugar diet can’t have rice, that’s the worms demanding some kind of payment. we don’t work for the parasite and we don’t have to eat his food for him.